Just before record store day, Dylan sent his thanks and a signed album to Tower Records Dublin. Music icon Bob Dylan expressed his appreciation for the support Tower Records has given him over the years. 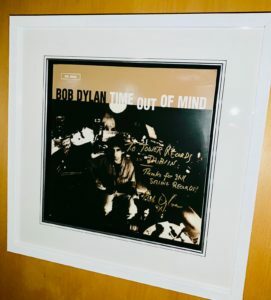 He also sent Tower Records Dublin a signed copy of his 1997 album Time Out Of Mind. "To Tower Records Dublin. Thanks for still selling records! 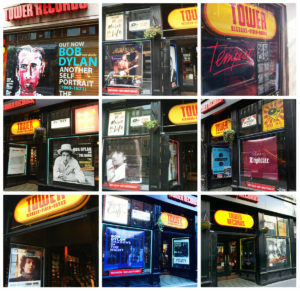 - Bob Dylan"
Tower Records Dublin has proudly featured many of Dylan's recent releases at their Dublin stores. Tomorrow is the eleventh annual Record Store Day. The international event celebrates the contributions of record stores to music and their local communities.